Malcolm X was a controversial figure in the early sixties as one of the most forceful and eloquent spokesmen for African-Americans. In his writings and public appearances he addressed the issues of Black pride, separatism (a position he eventually renounced), and self-esteem. In the years prior to his assassination in 1965, he granted Alex Haley, author of ROOTS, a number of interviews. From these, Haley assembled this account of Malcolm X's short, turbulent life, candidly recalling his troubled upbringing and his sordid years on the streets. Born Malcolm Little, and known as Detroit Red ... Show more Malcolm X was a controversial figure in the early sixties as one of the most forceful and eloquent spokesmen for African-Americans. In his writings and public appearances he addressed the issues of Black pride, separatism (a position he eventually renounced), and self-esteem. In the years prior to his assassination in 1965, he granted Alex Haley, author of ROOTS, a number of interviews. From these, Haley assembled this account of Malcolm X's short, turbulent life, candidly recalling his troubled upbringing and his sordid years on the streets. Born Malcolm Little, and known as Detroit Red during his years as a petty criminal in Harlem, Malcolm X managed to reinvent himself after a jailhouse conversion to Islam, an event he describes with rigorous honesty. He also includes an account of his life-changing pilgrimage to Mecca, as well as the rift with Elijah Muhammad and the Black Muslims that led to the formation of the Organization of Afro-American Unity. 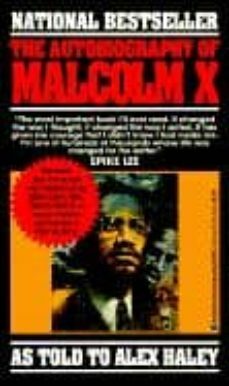 THE AUTOBIOGRAPHY OF MALCOLM X enjoyed widespread readership among audiences of all races, and influenced everything from the Black Power movement in the 1960s to the hip-hop community a generation later. It has been an inspiration to prisoners and the oppressed for four decades, and has been a staple in schools and libraries, appearing on virtually every list of essential books relating to the African-American experience.